You can stay healthy and cool this summer by opting for this satisfying and healthy Turmeric Thai Iced Tea recipe It is from “Empowered By Real Food,” the new & fabulous cookbook that Dr. Amanda contributed to. We sell a lot of turmeric in Calypso Natural Clinic. The healing properties of turmeric are numerous and several of the supplements we stock contain this mighty root. Turmeric belongs to the ginger family, and it’s active medicinal component is called Curcumin. Curcumin gives turmeric its vibrant yellow color. Turmeric is anti-inflammatory, anti-cancer, anti-oxidant and helps protect the liver. There are hundreds of research studies on turmeric; it is used to treat everything from muscle pains to diabetes to cancer to Alzheimer’s and other chronic illnesses. (Article in International Journal of Pharmaceutical Sciences and Research · October 2015 DOI: 10.13040/IJPSR.0975-8232.6(10).4168-73). You deserve more than sugar laden drinks that can lead to heart disease, obesity, diabetes, mood swings, and other diseases. I find that once people switch to healthier eating options they genuinely like feeling nourished and energized. 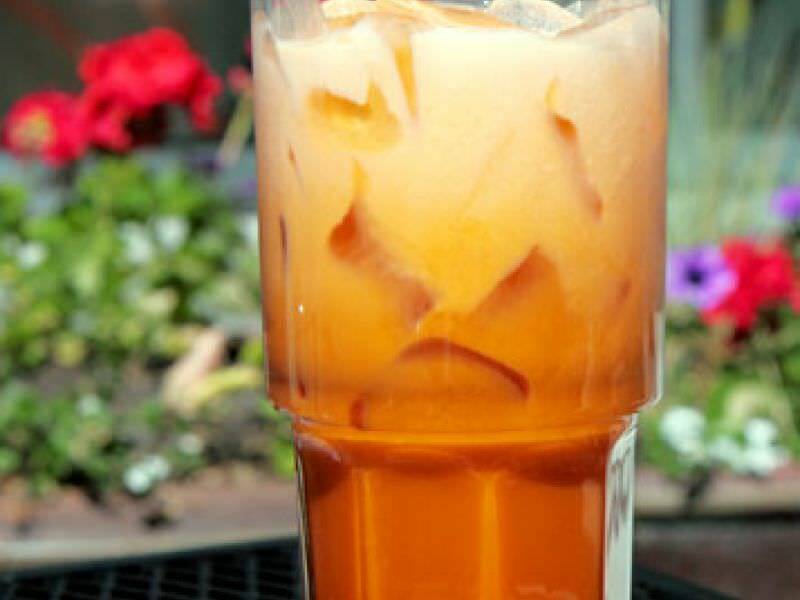 Make a large batch of Turmeric Thai Iced Tea and enjoy it over ice. Then pour the leftovers into popsicle molds for a healthy and refreshing treat later in the week. Turmeric Thai Iced Tea – Empowered by Real Food Cookbook, Featured Recipe from The Urban Paleo Homestead superstar Tiffany! Add all ingredients from first section to a pot (*except tea and turmeric powder), bring to a boil, reduce heat, cover, and simmer for 7 to 10 minutes. Strain ingredients. Stir in turmeric powder, honey and vanilla. extract. Whisk in collagen peptides if using. Let tea cool, then place in fridge to fully chill. This will make 1 quart of iced tea concentrate. When ready to serve, pour 1 cup of the tea concentrate over ice, and add a few Tablespoons coconut milk or cream, and enjoy! * If using fresh turmeric reduce powdered turmeric in half later on, but still use it as it helps with flavor and color enhancement. *For black teas we like using a good black tea or a vanilla black tea. For caffeine-free use Rooibos tea. Popsicle Option: After tea has cooled, mix with coconut cream if available (or coconut milk), and pour into popsicle molds. Freeze for 4 to 6 hours, or until firm.